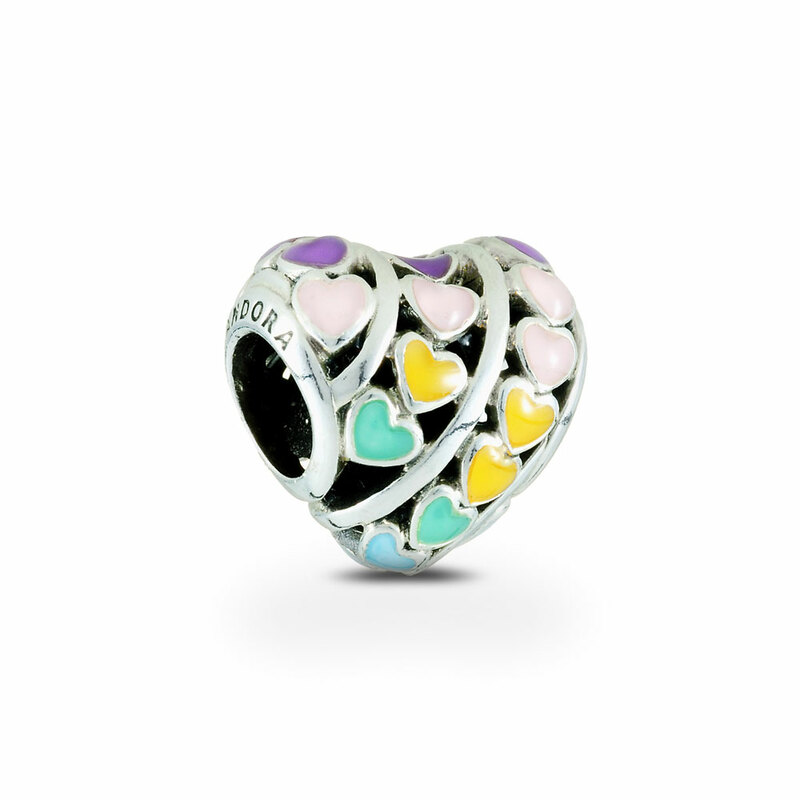 Reflect your optimistic outlook with this fresh take on the iconic PANDORA heart charm in sterling silver. The hand-painted enamel hearts arc a path to your dreams like a bright rainbow. Available online or in-store.This item is a single charm only. Bracelets sold seperately. Styling images may show this charm on a bracelet as styling inspiration. Rainbow Hearts Charm is rated 5.0 out of 5 by 6. Rated 5 out of 5 by TiffTiff from Breathe takingly beautiful I just started collecting Pandora and fell in love with this Spring collection. The bright colors are such a breath of fresh air. Im so in love with my charms. Rated 5 out of 5 by Karen T from Karen T Gorgeous. I'm happy with my purchase and would recommend it. Rated 5 out of 5 by Cass70 from Beautiful charm.. This gorgeous charm adds a splash of colour to my leather bracelet.. It's smooth and the enamel is perfect.. 5 stars.. Rated 5 out of 5 by Mssurreal from Lovely It’s a really pretty charm with pastel colors. It is smaller then I excited but still lovely. Rated 5 out of 5 by Browneyes56 from Beautiful heart charm I wanted it for Mother’s Day went Pandora store but it was all sold out. I’m new to Pandora. But out of curiosity went to the website and there it was. I’m so happy with it. I love the enamel colors so pretty.